CAN is fueled by prayer. Please join our 24/7 prayer team. We ask that you sign up for a 1-hour weekly time slot for committed prayer that includes human trafficking issues. 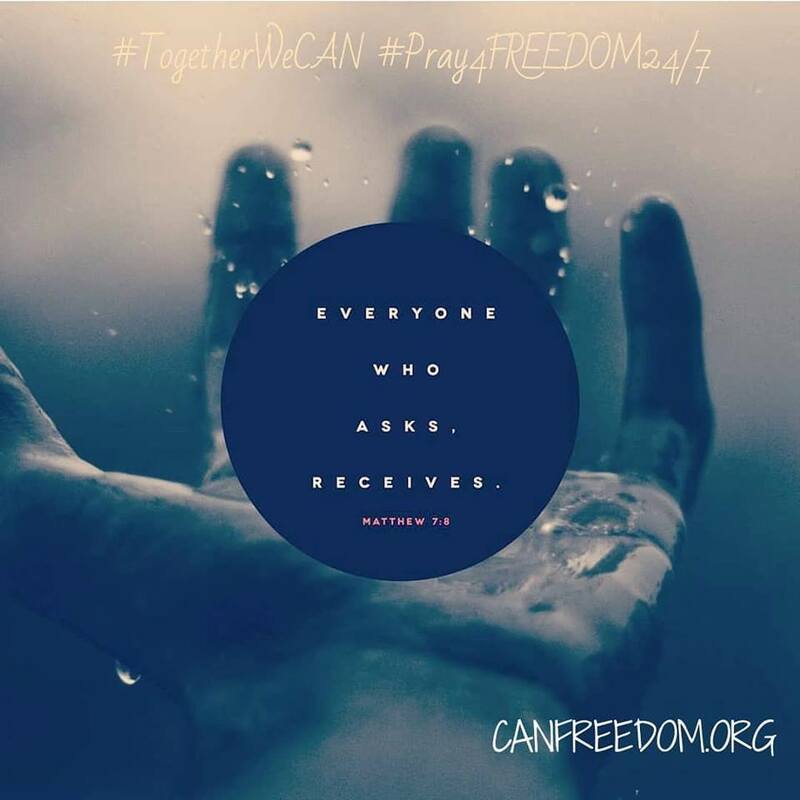 To inform your prayer time, visit the CAN social media feeds to pray through the posts. It is not by accident that God placed our headquarters in the region founded by the Moravians. Their 24/7 prayer lasted for 100 years and was the impetus behind the Great Awakenings. Prayer is essential to setting captives free.